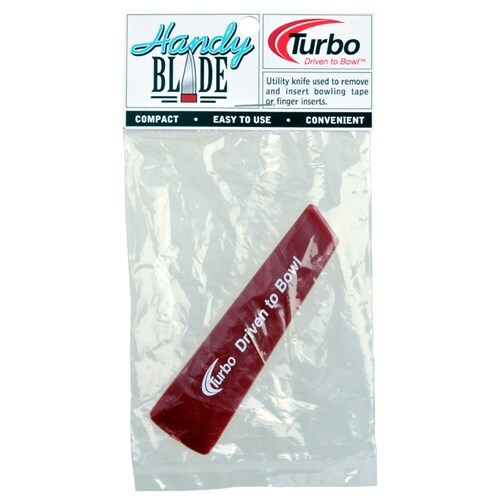 Turbo's convenient little all purpose utility knife can be used to remove and insert bowling tape or finger inserts. Due to the time it takes to produce the Turbo 2-N-1 Grips Handy Blade ball it will ship in immediately. We cannot ship this ball outside the United States.